The number sickened in an E.coli outbreak involving romaine lettuce has grown to 52. "If the romaine lettuce is not labeled, do not buy, serve, sell, or eat it," the CDC said. Nine more people have been sickened in an E. coli outbreak affecting romaine lettuce, bringing the total to 52 people across 15 states, the Centers for Disease Control and Prevention said Thursday. New Jersey and California have the most cases, each having reported 11 people sickened in the outbreak that began as early as Oct. 5, the CDC says. Seven people have been sickened in Michigan and six each in New York and New Hampshire. Cases have also been reported in Connecticut, Florida, Illinois, Louisiana, Massachusetts, Maryland, Ohio, Pennsylvania, Rhode Island and Wisconsin, according to the CDC. An additional 27 cases are under investigation in Canada, that country’s government said. Authorities believe that romaine lettuce from northern and central California is the likely source of the outbreak, but "no common grower, supplier, distributor, or brand of romaine lettuce has been identified," the CDC said. 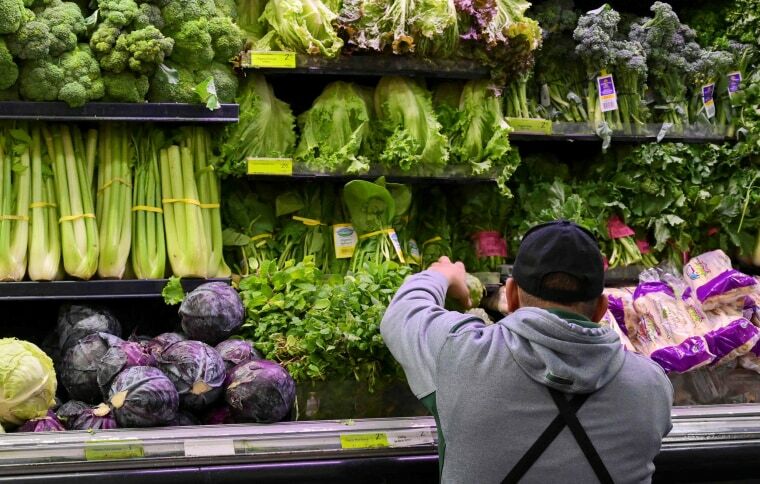 The public health agency says that some romaine lettuce is now being labeled with a harvest location, and consumers should check for those labels to confirm the vegetable was not harvested in the central coastal growing regions of northern and central California. "If the romaine lettuce is not labeled, do not buy, serve, sell, or eat it," the CDC said. And if consumers don't know if the lettuce in their refrigerators is romaine, or if a salad mix contains romaine, they should trash it. No deaths have been reported in the outbreak, although 19 people have been hospitalized and two of those developed a type of kidney failure called hemolytic uremic syndrome, according to the agency. E. coli is normally harmless, but there is a strain called E. coli 0157:H7 that produces a compound called Shiga toxin that can make people very ill. E. coli can be spread by contaminated water or animal manure. Another E. coli outbreak also affecting romaine lettuce in the spring killed five people and made more than 200 sick in 36 states. It was eventually traced to contaminated canal water in a farming area in Yuma, Arizona. The current outbreak is not linked to that outbreak earlier this year, the CDC says. Overall, the CDC estimates that 48 million Americans get sick from a foodborne illness every year. Of that total, 128,000 are hospitalized and 3,000 die.